Lincoln Electric’s Welding School instructors officially cut the ribbon on the new Welding Technology & Training Center. 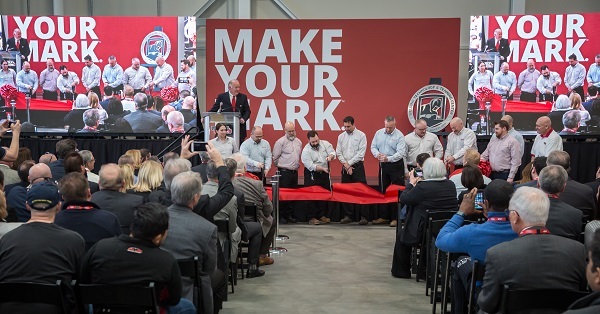 Last week we joined Lincoln Electric Holdings Inc., a leader in arc welding and cutting solutions, at its open house and ribbon cutting ceremony to celebrate the grand opening of its new Welding Technology & Training Center in Cleveland. 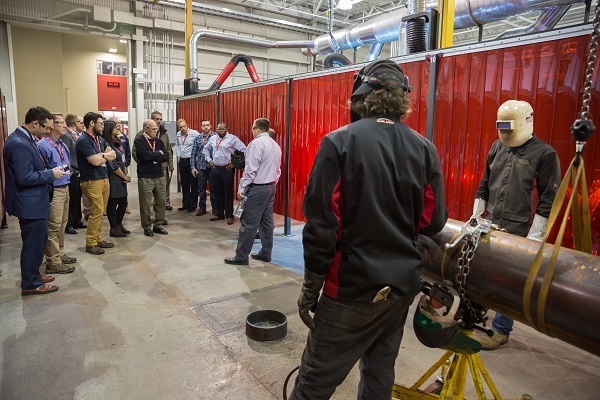 The event, held on March 21, showcased the company’s expanded educational offering as well as commemorated the centennial anniversary of its welding school — the longest-running welding school in the world. Check out some photos from the event below. 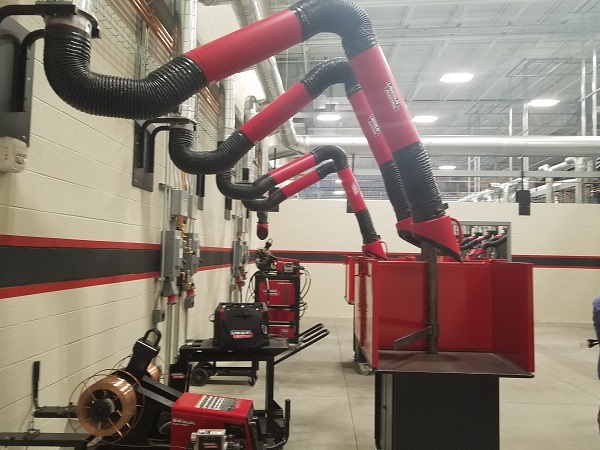 The Welding Technology & Training Center includes private training areas for companies like John Deere or Caterpillar to come in and train their employees. 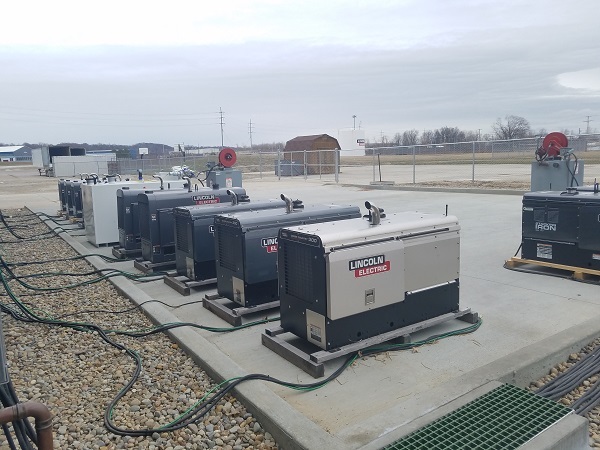 To simulate working in field, the Welding Technology & Training Center API section welding booths are attached to Lincoln Electric engine drives that are placed outside the building. If a pipeline welder is there for training and wants to attach their own rig, there is capability to attach their rig to the stalls as well. A tour group, including CE contributing editor Brad Kramer, learns about the API section of the Welding Technology & Training Center. Currently the center features 10 API welding booths. 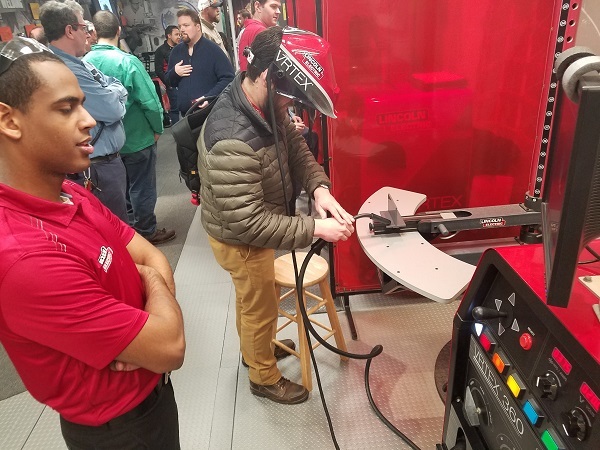 Compact Equipment contributing editor Brad Kramer tries his hand at the Lincoln Electric Vertex virtual reality weld simulator in the American Welding Society trailer. Click here for more news from Lincoln Electric.